There are approximately 300 stocks in the world, which have managed to increase dividends for at least ten years in a row. As a dividend growth investor I have analyzed in some detail almost all of these stocks, even though most of them will probably never meet my entry criteria. One reason behind that is valuation. Another, more important reason is that few of these companies have sustainable competitive advantages. As a result, in my articles describing dividend growth investing I tend to focus on a narrow list of quality candidates. The reason behind this is because there are only a handful of quality dividend growth stocks which meet the above characteristics. These companies have a proven track record of dividend increases, fueled by earnings growth which was a direct result of having a strong brand name and a product or service which they can charge premium prices for. Right now, I find these quality companies to be the core of my dividend portfolio. If I were starting in dividend investing today, I would certainly be accumulating these stocks first, before looking for other opportunities. At the end of the day I understand that purchasing a new dividend achiever with excellent growth prospects could deliver outstanding total returns over time. This is a hit and miss approach however, as high growth could simply be an aberration of short term economic trends. The beauty of the stocks above however is that they deliver consistent results. They deliver results like clockwork. These companies are leaders in their industries, which makes their success difficult to emulate. Their products/services are relatively immune from recessions, although they are not bulletproof. The rising stream of dividends provide investors with an edge that would generate strong returns over time. Dividend Growth Investor presented Is your dividend income riskier than expected? Analysts expect the company to manage to deliver 4% - 5% annual sales growth over the next few years. Growth in Asia/Pacific and Europe would likely outstrip US revenue growth. The international segment, which accounts for almost 55% of profits, has accounted for much of the growth in the past and is also expected to deliver growth in the future. The company has been able to achieve sales growth through innovation in its menu, introduction of different drinks as well as using its dollar menu items. Since 2003 the company has focused its strategy mostly on internal growth through maximizing existing restaurants’ profitability. For example, the company is spending half of its CAPEX on new stores, while the other is mostly spent on redesigning of its existing locations. In addition, the company has focused on its stores profitability by disposing of non-core assets such as Chipotle Mexican Grill (CMG) and Boston Market. One of the main risks behind the company is food inflation. However, given its strong brand name, the company should be able to pass on some of the rising food costs to consumers, without alienating them. Kinder Morgan Energy Partners, L.P. owns and manages energy transportation and storage assets. This master limited partnership has consistently increased distributions since 1997. The first is by purchasing the limited partner units traded on NYSE under ticker (KMP). These are limited partnership units, which generate K-1 tax forms to unitholders. Most of the distributions which investors receive on a quarterly basis represent a return of capital, which means that it is not taxable unless investors decide to sell their units or unless their cost basis drops below $0. This return of capital reduces the cost basis of investors. The lower cost basis would trigger capital gains when units are sold. When the tax basis drops below $0, any distributions are taxed as ordinary income. I have analyzed Kinder Morgan Partners (KMP) in this article. The second is by purchasing the LLC units traded on NYSE under ticker (KMR). KMR is a limited partner in and manages and controls the business and affairs of KMP. KMR has no properties and its success is dependent upon its operation and management of KMP and KMP's resulting performance. The only asset that KMR owns is KMP shares. Investors in KMR do not receive cash distributions, but receive shares proportional to the ownership interest they have in the stock. The cash distributions for KMP and KMR are equal, the only difference is that KMR distributions are paid in the form of additional shares. The third way in investing in Kinder Morgan is by purchasing shares in the general partner interest, which recently started trading on NYSE under ticker (KMI). KMI owns the general partner and limited partner units in KMP. KMI also owns 20 percent of and operates Natural Gas Pipeline Company of America (NGPL), which serves the high-demand Chicago market. Another valuable asset behind KMI is the Incentive distribution rights behind the general partner, which entitles it to 50% of the distributions above certain thresholds. This is why any growth in KMP distributions would really accelerate growth in KMI dividends. KMI is set up as a corporation, which is why investors should receive a form 1099- DIV at the end of the year and have their dividends taxed at no more than 15%. I purchased the i-units of KMR since I am in the accumulation phase and since they are trading at a steep discount to KMP units. It is true that KMR shares do not offer a “cash payment” per se, although investors could sell the additional shares received each quarter and obtain cash income that way. Investors could purchase KMR and hold it in tax deferred retirement accounts such as ROTH-IRA’s for example, without worrying about the unrelated business tax income (UBTI). Although in a previous article I have discussed why I do not believe the UBTI is an issue for tax-deferred accounts, nevertheless some investors might still worry about this potential tax penalty. I also purchased KMI as a dividend growth play. While the yield is decent at 4%, I view the company to have excellent dividend growth potential. Dividend Mantra discussed his most recent purchase. Wal-Mart Stores, Inc. (WMT) operates retail stores in various formats worldwide. The company is member of the S&P 500, Dow Jones Industrials Average and the S&P Dividend Aristocrats indexes. Wal-Mart Stores has paid uninterrupted dividends on its common stock since 1973 and increased payments to common shareholders every year for 37 years. The most recent dividend increase was in March 2011, when the Board of Directors approved a 20.70% increase to 36.50 cents/share. The major competitors of Wal-Mart Stores include Costco Wholesale (COST), Target (TGT) and Family Dollar (FDO). Analysts estimate that Wal-Mart (WMT) will be able to achieve a 10% annual growth in EPS for the next 5 years. This will be driven largely by the company’s international operations, where the company is attempting to generate economies of scale. Wal-mart (WMT) has also decreased the number of new store openings in the US, in an effort to reduce cannibalization of sales. This has left it with extra free cash flows, which could be used to further reduce the share count. The company has started to invest in its existing stores, by redesigning them in some neighborhoods, in an effort to make them more appealing to a wider variety of shoppers. This could help Wal-Mart in squeezing in extra revenue per existing store, without having to rely too much on new stores for revenue growth in the US. Currently Wal-Mart fits my entry criteria as it is trading at 11.50 times earnings, yields 2.80% and has a sustainable dividend payout. I would consider adding to my position in the stock subject to availability of funds. In most of my posts on dividend investing I tend to preach about a strict method for equity selection which focuses on valuation, dividend yield, dividend sustainability and a minimum number of annual dividend increases. I also typically mention the same stocks in most articles, which exhibit the type of dividend stock I am looking for. When looking at the best performers in my portfolio over the past few years, I noted that sometimes the greatest dividend stocks tend to be different than what we expect them to be. Even in life, people sometimes search for the best job, or the love of their life using predetermined criteria. In the end they end up finding their true passion or life partner that is just right, despite the fact that it was different than expected. Yum! Brands (YUM) - The reason why I purchased this stock is because it has a strong presence in China. In addition it has a strong opportunity for growth in the world’s most populous nation, beating rival McDonald’s (MCD). The common characteristic behind all of these stocks is that they were purchased in a clear violation to my entry criteria. The most notable exception was that they were yielding below my minimum threshold of 2.50% at the time of purchase. I only initiated a small position in each of the three stocks mentioned above, mostly because of their low yields. The main limitation behind this sample of course is that I selected three growth stocks during a period where the market has gone up by 100% since its March 2009 lows. Bull markets typically tend to favor growth stocks, as investors bid their prices up, while defensive sectors such as consumer staples might not rise as much. It is important to note however that while the stocks mentioned above were purchased at yields which were lower than my minimum threshold of 2.50%, their valuations were reasonable based off P/E ratios below 20 and double digit growth rates in EPS. The point I am trying to make is that one should not get married to their positions. It is important to have a strategy, but it is also important that not all strategies will work all the time. While I do believe that Johnson & Johnson (JNJ), despite its recent difficulties, is a great dividend growth stock to own, it should be one of at least 30 in a diversified dividend portfolio. Diversification is important, not only to reduce the risk of concentrated bets on a sector that implodes but also to provide investors with a greater chance of including sectors and stocks which could provide decent total returns over time. As discussed in earlier articles, I am striving to have a dividend portfolio which is comprised of three types of dividend stocks. So far the higher yielding and the lowest yielding stocks have delivered the best total returns, while stocks in the sweet spot have done only ok. It is also important to keep a long term view on your investments as well, as your investing portfolio could go through several market cycles before and after you retire on it. Another important thing to remember is that dividend investing is not a black box style investing method. Sometimes a company with great quality characteristics which is just shy from your entry criteria might make more sense, despite the fact that your data analysis says otherwise. While it is great to have predetermined criteria before purchasing a stock, sometimes it might be wise to break some of your rules in order to enter into the right position. At the end of the day, pure dividend growth investing is mostly about identifying companies with rising earnings and dividends, and then riding this trend for as long as possible, despite current yields. Adding additional filters could protect investors at times of irrational exuberance, but could also limit their upside during economic rebounds. As a result, investing should be viewed not just in a quantitative but also in a qualitative way. Evaluating company qualities on a stock by stock basis, while highly subjective, could be the decisive factor behind your investment success. 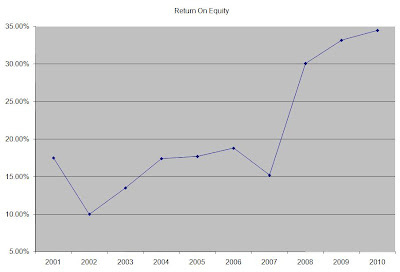 The only way to generate a return on a stock that does not pay dividends is to sell it. Once you sell that stock, you have a taxable event where you have to pay taxes on your whole gain all at once. Contrast this to dividend paying stocks, where a consistent dividend payment spreads out your returns and the taxable liabilities associated with it over time. Several consistent dividend growth stocks announced increased distributions to shareholders, like clockwork. These increased distributions would surely increase the return on investment, particularly at a time when stock prices have been in a decline for six consecutive weeks. Target Stores’ (TGT) recent dividend increase makes the company attractively valued per my entry criteria. Last time I evaluated the company was in 2008, before the financial crisis. I would analyze this retailer in detail in future weeks. Investors should purchase stocks with the intention to hold on to them forever. They should spend time analyzing the stocks to purchase, fine tuning their strategies and diversifying their portfolios properly. However they should realize that things and conditions change. Sometimes the best decision investors could do is sell their stocks when changes occur. As a result, even a portfolio of carefully selected wide moat companies could have big turnover over a time period of several decades. Nevertheless, it is important to try and select only the best dividend stocks after a rigorous screening on such lists as the dividend achievers or the dividend champions. Investors do have to remain nimble and on top of things, as any changes could lead to portfolio turnover over time. The changes that could occur include buyouts, dividend cuts, spin offs and changes in the business environment. I highlighted several conditions which would make me to sell my dividend stocks in this article. Many prominent dividend stocks could be attractive buyout targets for larger rivals or by companies which are looking to diversify into a new line of business. Shareholders usually receive a big premium which ensures that almost everyone makes a profit in the process. This doesn’t take into consideration the fact that a growing company might deliver much higher total returns if it stayed independent. Recent examples of buyout include the acquisition of dividend aristocrats Anheuser-Busch in 2008 by Inbev (BUD). At the time the company which controlled almost half of the US beer market had a dividend record of 32 years of consecutive dividend increases. Other examples of successful dividend growth stocks bought our include the Quaker Oats acquisitions by PepsiCo (PEP) in 2001 as well as Berkshire Hathaway’s (BRK.B) acquisition of GEICO in 1996. Investors who received stock in the acquirer had to evaluate whether they should keep it or sell it. Investors who received cash had to find other attractively valued replacements for their dividend portfolio. The opposite of buyouts is spin offs, which is the creation of an independent company through the sale or distribution of new shares of an existing business/division of a parent company. Back in 2007 Altria Group (MO) spun off Kraft Foods (KFT) and distributed shares in the food company to its shareholders. In 2008 Altria also spun-off Philip Morris International (PM). This led to a decrease in the net dividend from 86 cents/share in 2007 to 29 cents/share in 2008. The company was a member of the dividend aristocrats index and boasted a long record of consistent dividend increases. After the spinoff however, it was removed from the index. Investors who closely followed the elite dividend index disposed of the stock. Others which used a more discretionary investing strategy had to evaluate the business of three companies – Altria Group (MO), Philip Morris International (PM) and Kraft Foods (KFT). All of the companies have been able to increase dividends since the spinoff. Another corporate event which has been a decisive sell signal for many dividend investors is when companies cut or suspend dividend payments. Companies typically cut dividends as a last resort of action, which is why a dividend cut truly shows how dire the business conditions for the company really are. Selling right after a dividend cut has been a smart move. 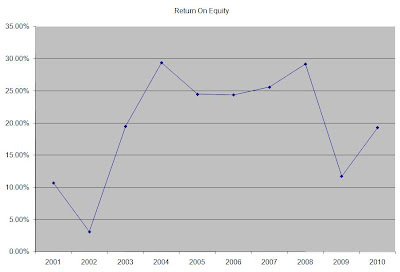 Overall investors who sold immediately after the dividend cut in 2007 and 2008 avoided major blowups such as Citigroup (C) or Washington Mutual (WM). This is typically when I sell my dividend stocks as well and then reinvest the proceeds in stocks which are attractively valued and have strong dividend growth potential. In my experience as a dividend investor, companies that cut dividends either have their stock prices decimated to zero or stage a huge recovery. Investors who purchase dividend cutters are playing against all odds, since a 100% gain followed by a 90% loss would not lead to sustainable wealth accumulation over time. The most recent dividend increase was in April 2011, when the Board of Directors approved a 8.30% increase to 78 cents/share. The major competitors of Chevron include Exxon-Mobil (XOM), British Petroleum (BP) and Total (TOT). 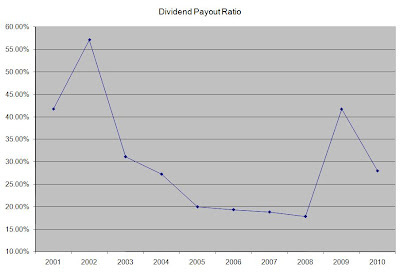 The annual dividend payment has increased by 8.80% per year since 2001, which is lower than the growth in EPS. 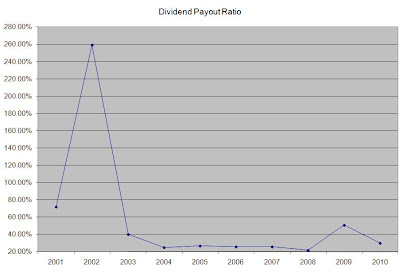 Currently Chevron is trading at 9.80 times earnings, yields 3% and has a sustainable dividend payout. The stock is attractively valued, and if the high oil prices are here to stay Chevron would certainly be able to enjoy high earnings per share in the foreseeable future. Despite the fact that Chevron fits my entry criteria, the massive run up in its share price since I last reviewed the stock in 2010 is makes me uneasy about committing additional capital in the stock. This being said, as long as the share price is below $115 the stock is a buy. Yields on fixed income instruments have been in a decline over the past 30 years. While yields on long term obligations were in the mid to high teens in the early 1980’s due to higher inflation, they have come down quite a bit in the early 2010’s to some of the lowest levels in US history. As a result certain cash deposits such as Certificates of Deposits or Treasury Bills yield less than half a percent. Investors putting cash in any short-term fixed income instruments are not earning an adequate return on their investment and are also losing purchasing power of their savings because of inflation. As a result many savers have started taking on additional risk and getting into dividend paying stocks. Investing in companies that pay dividends could be rewarding, since it could lead to a rising stream of dividend income, which bonds cannot provide. In addition to that, a portfolio of carefully chosen dividend companies might provide an inflation hedge, as companies pass on rising prices to consumers, which leads to increases in profits and dividends. The main disadvantage behind investing in dividend stocks however is that your investment is not guaranteed by the FDIC, and could lose some or all of its value. In addition to that, unlike most bonds, dividends are not guaranteed and can be cut. Savers could still earn an adequate amount of interest by purchasing long-term bonds, but even if inflation is modest over the next few decades, it could leads to much lower real returns. Investors who want to generate a rising stream of income that protects their principal and income from inflation should consider carefully selected dividend stocks. The first place to look is at companies which have a history of raising distributions for at least one decade. Companies which can do this are typically stable and mature businesses, which generate a sufficient amount of cash to expand and share the excess with shareholders in the form of dividends and share buybacks. Once management has committed to consistently raising distributions year in and year out they tend to be more conservative with cash and take only projects that have a higher chance of not only earning money but also earning a sufficient return on investment. Such management knows that cutting distributions would make shareholders unhappy, and would only do so if the business is in trouble. Another thing that investors should look for is strong competitive advantages. Wal-Mart (WMT) is the largest retailer in the US, operating over 4000 stores domestically. Due to its sheer scale, the company could obtain favorable deals for merchandise and could generate efficiencies that lead to lower costs than competitors. Colgate Palmolive (CL) on the other hand produces quality brand consumer products such as toothpaste, which consumers have to buy in any economic environment. Procter & Gamble’s (PG) Gillette product line is another type of a strong brand which consumers are attached to and prefer to purchase over generic substitutes. As a result companies like Colgate (CL) and Procter& Gamble (PG) have strong competitive advantages in their respective areas. Another quality to look for in dividend stocks is a business model which is relatively recession resistant. Even during recessions consumers still need to purchase groceries at low cost stores like Wal-Mart (WMT). Consumers still need to use shaving products from companies such as Procter & Gamble (PG), and they still need to brush their teeth with toothpaste from companies such as Colgate Palmolive (CL). The strong competitive advantages, combines with high returns on equity and relative immunity from recessions generates stability in earnings which translates in stable distributions. The greatest dividend stocks not only have stable earnings however, but they also tend to increase profits over time through innovation, acquisitions and process improvements. A rising earnings pattern could translate in rising dividend incomes over time. This provides the necessary cushion that would protect your dividend income against inflation. Rising earnings also should translate in rising stock prices, which also bodes well for preserving the purchasing power of your principal. Last but not least investors should only purchase companies which have a sustainable dividend payment and stocks which are not overvalued. When I see companies which pay out in dividends more than what they get in earnings, this automatically raises a red flag. Spending more than what you earn is rarely a sustainable business model for the future. Investors should look for companies which have obtained a proper balance between the amount of earnings they reinvest and the amount of earnings they distribute to shareholders. 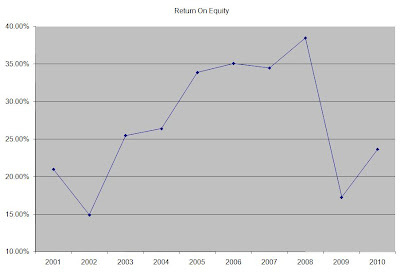 In addition, overpaying for stocks could lead to subpar returns over time, even if the business itself performs very well.